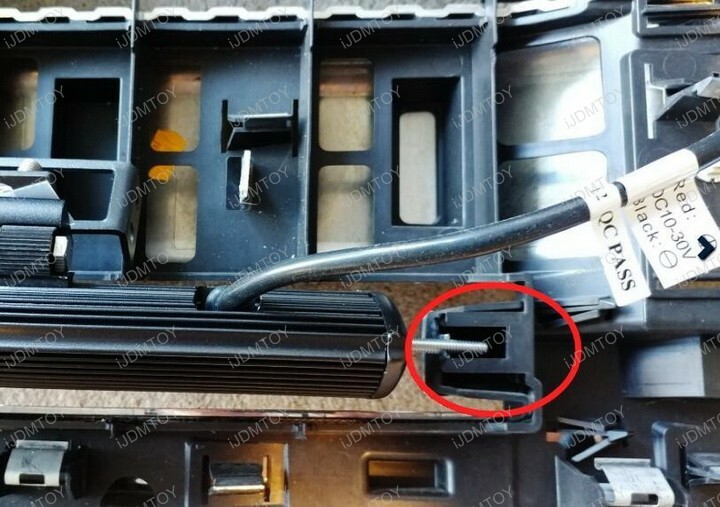 Q: What vehicles do this LED light bar fit in? 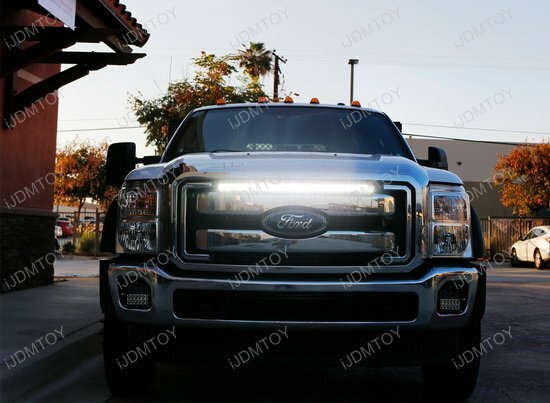 A: The 30" 150W single row LED light bar fits the 2011-2016 models of the Ford F250, F350, and F450 Super Duty. 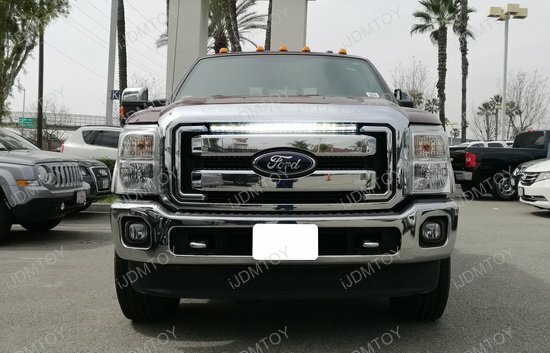 Q: Where can I install this light bar? 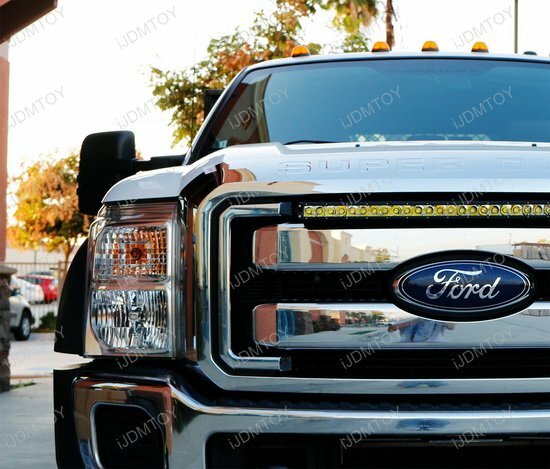 A: You can mount the LED light bar in the upper gap or the lower gap of the grille. Q: Does this lightbar require any modification? A: Yes. 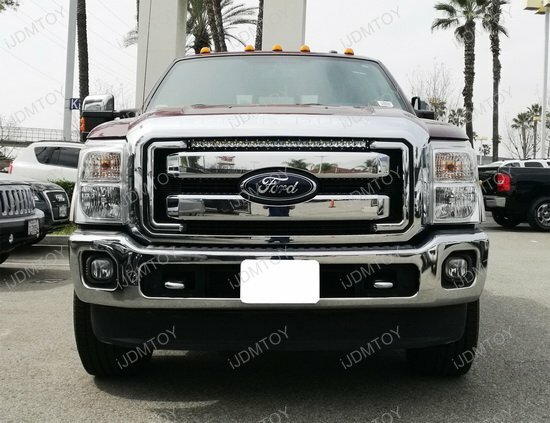 Installing this LED light bar will require cutting the plastic beams on the grille and drilling holes in the columns behind. 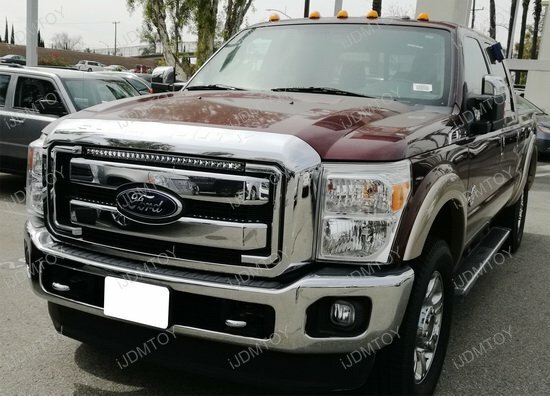 Q: Why does I need to modify my grille? 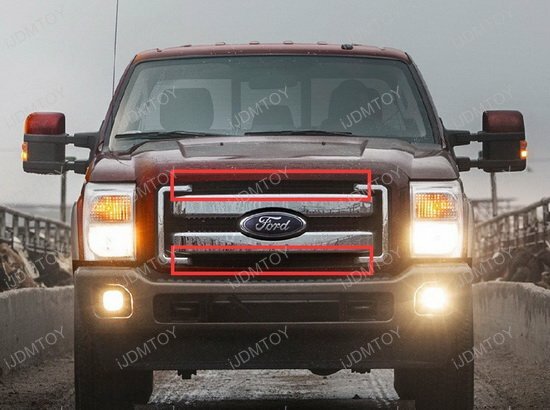 A: This LED light bar is designed to make use of the gaps on the Ford grille, which is why cutting the plastic beams is necessary. 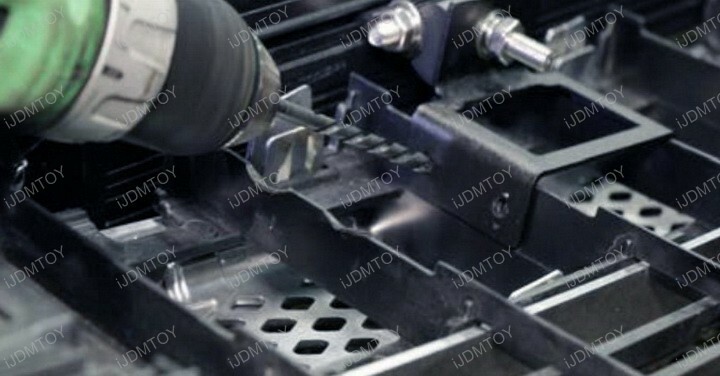 Additionally, the columns behind is the best and only location for mounting the included base brackets. 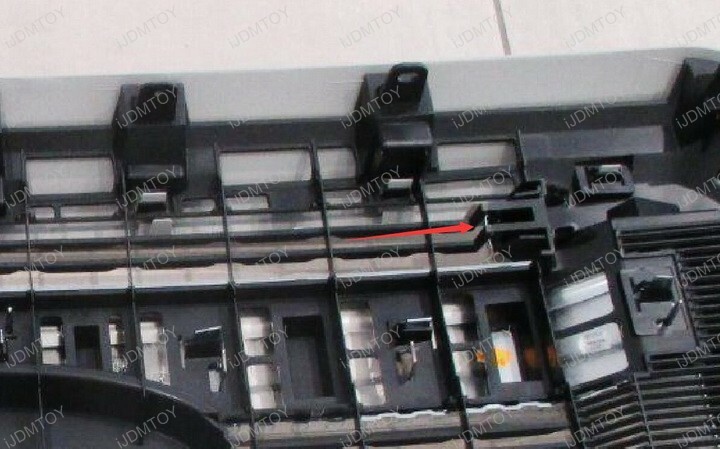 You will also have to trim off the steel piece indicated by the arrow below. Note: this installation will involve some drilling and cutting. 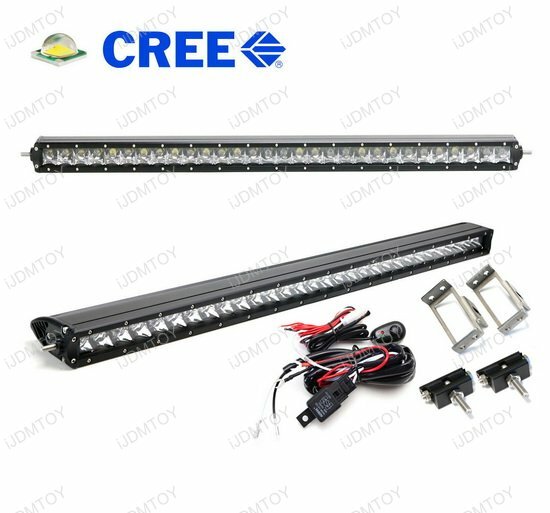 If you want more mounting options, try out this single row CREE LED light bar with grille to mount brackets! 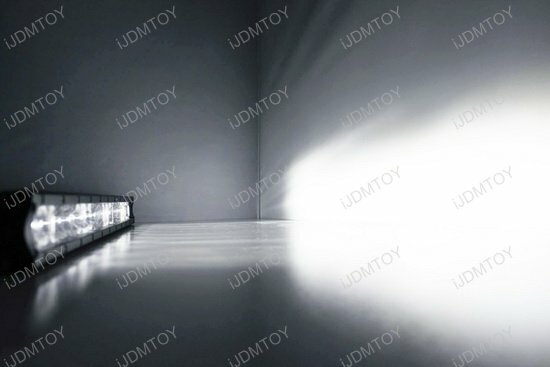 This page features the 30" 150W single row CREE LED light bar. 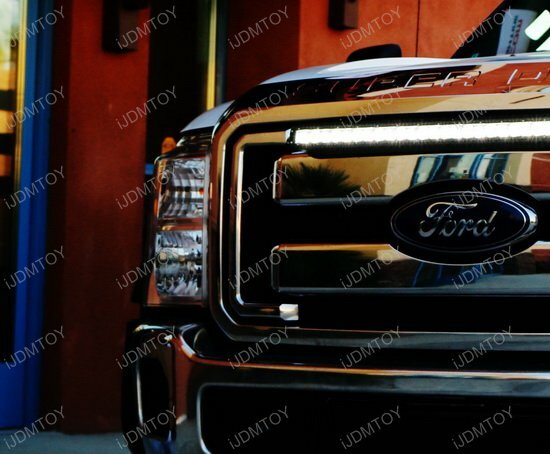 This LED light bar is designed to fit the 2011-2016 Ford F-250 F-350 F-450 Super Duty. 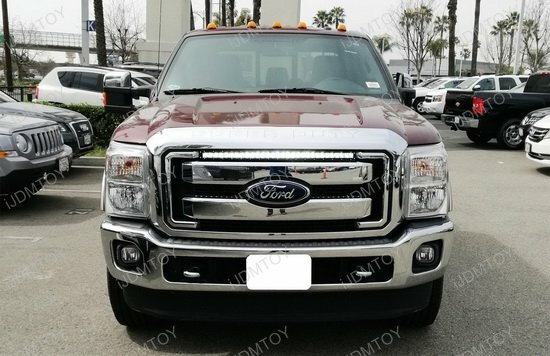 Each set includes one 30" 150W single row LED light bar, a pair of black powder-coated steel grille area mounting brackets, and a wiring harness with an on/off switch. 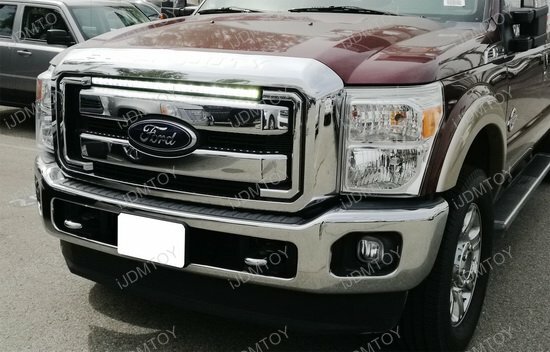 This LED light bar is made to be mounted on the Ford Super Duty grille's upper or lower gap for an off-road look that looks seamless. 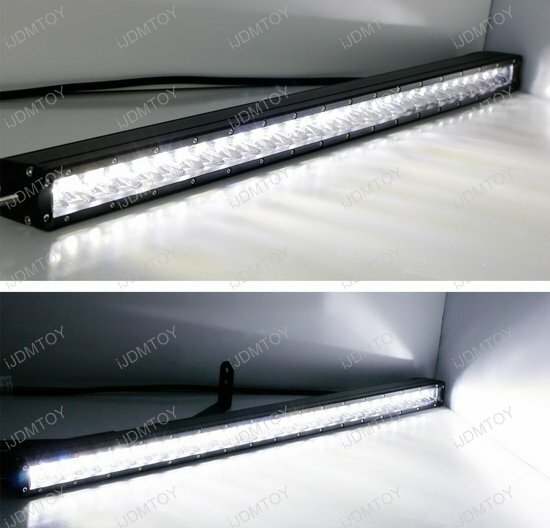 With this LED light bar, you'll achieve maximum visibility in any rural setting. 4.5 of 5 Total Reviews: 2 Write a review. 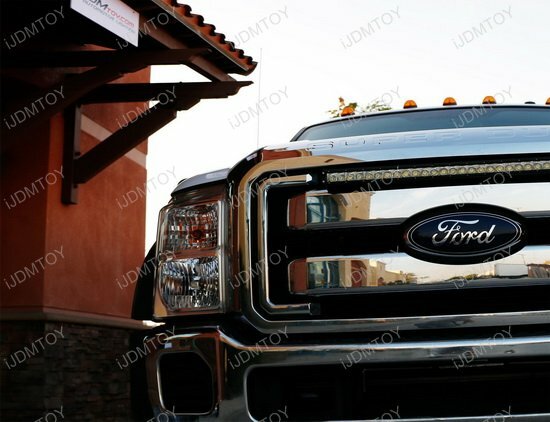 Awesome LED light bar on my 2012 Ford F-250. it was as described! 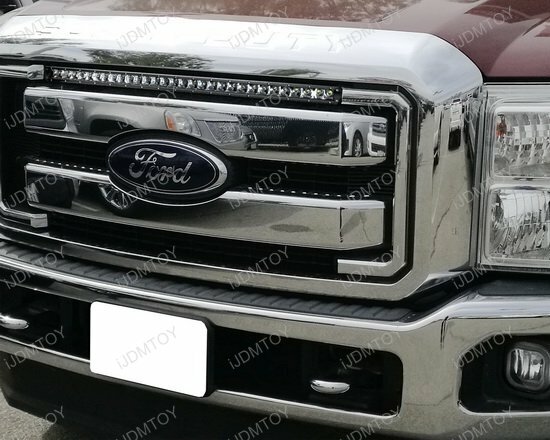 Mounted on bottom, but the light bar has treaded studs that are on each end of the light that needed to be cut off... 4 stars because it was not in the instructions I called the company and they informed me they needed to be cut.